Call Us Today 800 280-8739! 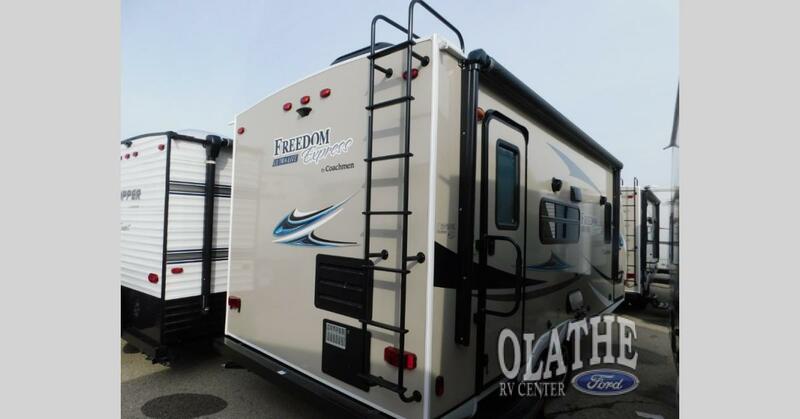 Come see the terrific Freedom Express 192RBS at I-35 and exit 207 in Gardner, Kansas. 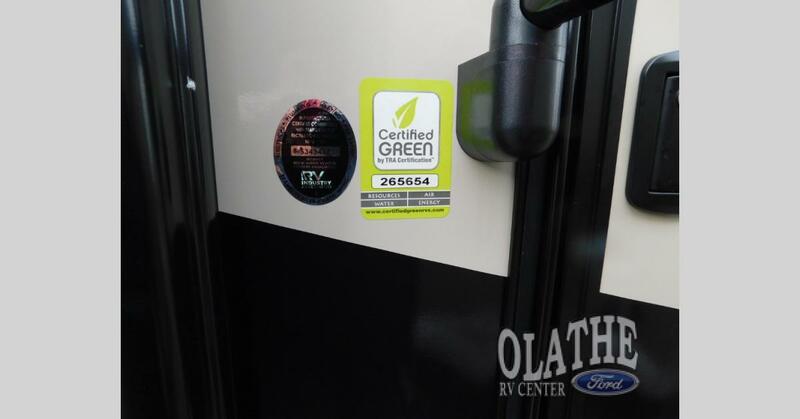 Olathe Ford RV Center, locally owned and operated for almost 50 years, is the largest RV dealer in the Kansas City metro area. 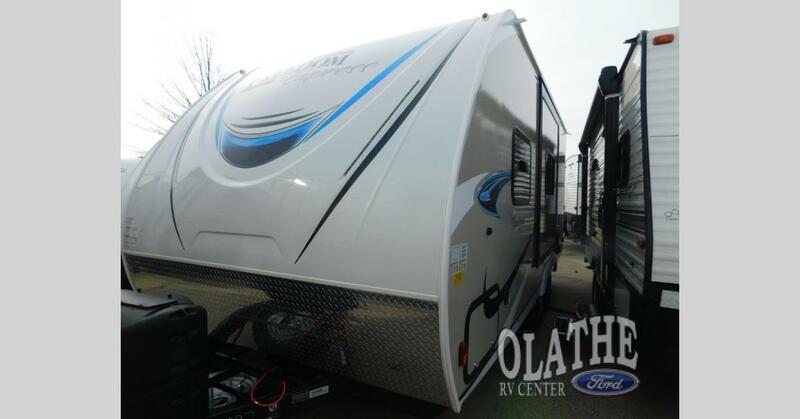 We offer a huge selection of travel trailers, fifth wheels, and motorhomes and we have a giant service department and a full line parts and accessories department. 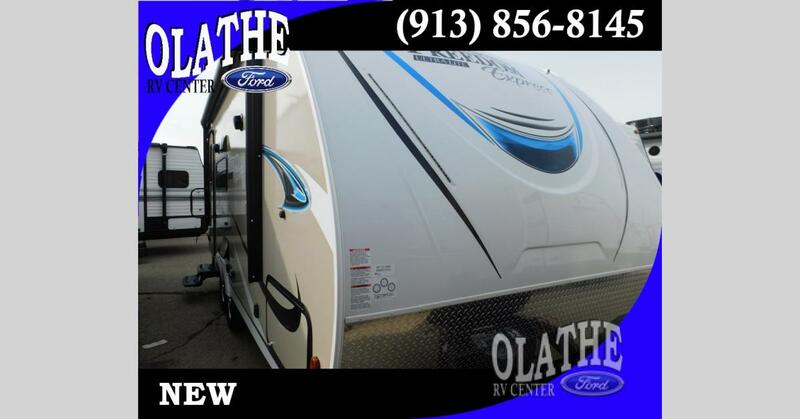 Olathe Ford RV Center, your one stop shop for anything RV related. Traveling lightweight makes moving down the road easier and less stressful. 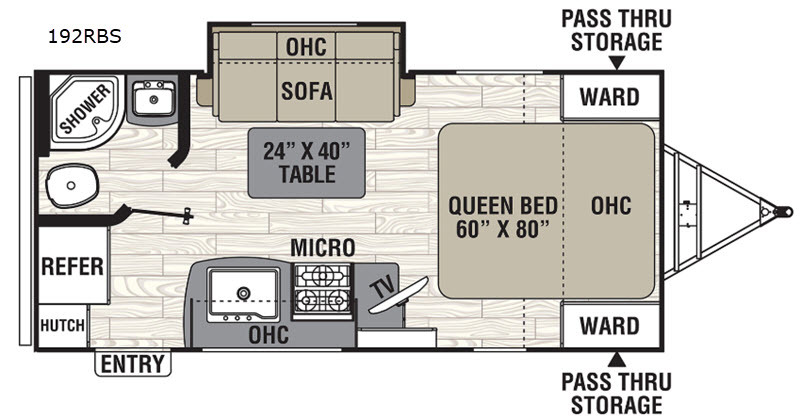 This travel trailer offers sleeping space for four, a rear corner bath, and much more! You will enjoy the interior space thanks to the slide out containing the sofa and a removable resin outdoor table. You can work or play games then relax on the sofa while you watch a show on the LED TV. The cook of the family can prepare a dinner on the three burner range or whip up something quick in the microwave. Grab your camp chair and enjoy an evening under the electric awning with LED lights! 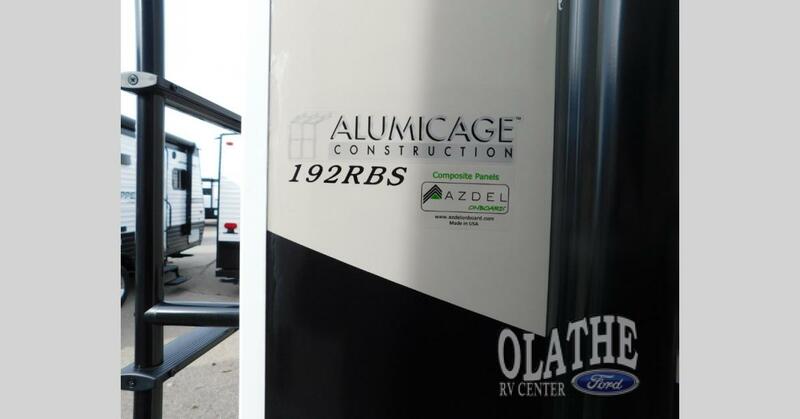 Olathe Ford RV is not responsible for any misprints, typos, or errors found in our website pages. Any price listed excludes sales tax, registration tags, and delivery fees. Manufacturer-provided pictures, specifications and features may be used as needed. Inventory shown may be only a partial listing of the entire inventory. Please contact us at 913-856-8145 for availability as our inventory changes rapidly. All calculated payments are an estimate only and do not constitute a commitment that financing or a specific interest rate or term is available.